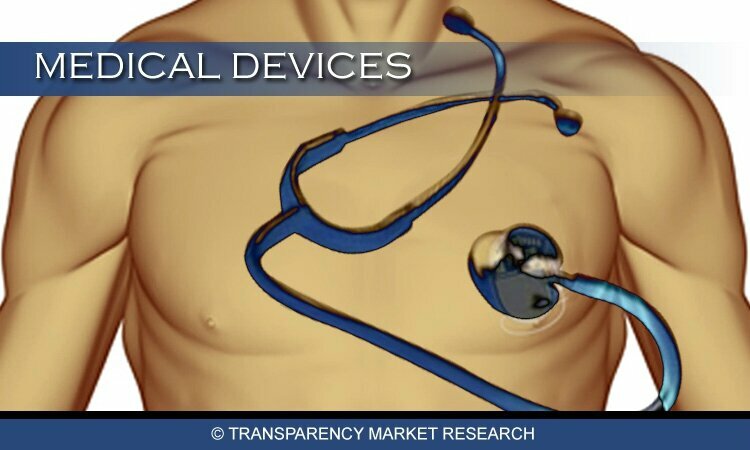 Transparency Market Research has announced the addition of a new market report based on Molecular Diagnostics Market – Global Industry Analysis, Size, Share, Growth, Trends and Forecast to 2019 in addition to their comprehensive database. This industry is considered as the most well-established and attractive market for clinical applications. It is valued at USD 8.7 billion by 2019 and expected to grow at a CAGR of 11.1% from 2013 to 2019. Molecular diagnostics is the class of diagnostic test that explores and evaluates nucleic acids or proteins at a molecular level. Our generation is furnished with some of the most realistic and innovative ideas in biotechnology which is witnessed in the form of molecular diagnostics. Since 1990 the market for molecular diagnostics has expanded and evolved profusely. With the introduction of PCR test for HIV and Chlamydia Trachomatis/Neisseria Gonorrhoeae (CT/NG), this industry comes across as tough and a science-oriented regulator. In the primitive times, the usage of molecular diagnostics was restricted due to high cost of tests and requirement of skilled professionals. Nonetheless, this was overcome by the reduction in labor cost, cost per sample analysis, introduction and development in the advanced technologies and automation systems. Currently, molecular diagnostics constitutes a trivial section of the overall diagnostics market, but is reckoned as the fastest growing sector across the globe. By far it is approached as the fastest growing sector of the in-vitro diagnostics market. This is clearly supported by the fact as now-a-days, the molecular diagnostics tests are widely performed for testing infectious diseases such as HIV, HPV, HCV, HAI, cancer testing, genetic diseases, HLA testing, and many others. There are molecular diagnostic kits available for pharmacogenetics and blood donor screening testing processes too. The first-generation amplification, fluorescent in situ hybridization (FISH), DNA probes, and second-generation biochips and micro fluidics are the technologies that comprise molecular diagnostics. Moreover, the next-generation signal detection, molecular labels, and biosensors are handful of other influencing factors that showcases the discovery of therapeutic molecules, optimization of drug therapy, and the screening and diagnosis of patients. The next-generation sequencing is developing rapidly owing to its prompt turnaround time, low cost, reduction in cost of sequencing, high sensitivity, and convenient workflow. Molecular diagnostics is considered as a highly evolving market due to the rise in chronic infections, increasing investments in R&D, growing geriatric population, increasing demand for personalized medicines, and R&D activities for biomarker identification equipped with emergence of new technology and applications of various tests. Molecular diagnostics test is placed in the fast lane development so that infectious diseases testing, oncology testing, genetic testing, blood screening, cardiovascular testing and other medical procedures are carried out promptly. According to the current market statistics, molecular diagnostic’s major revenue is dominated by infectious diseases that standalone captures 60% of the overall molecular diagnostic applications market share. However, the remaining one third is attributed to the blood donor screening and genetic testing procedures. The growth of this sector is also seen through the rising incidences of hospital acquired infections (HAI) that is anticipated as the fastest acquiring segment within infectious diseases. It is further expected to grow at a CAGR rate of 15.1% in the forecast period of 2013-2019. Similarly, the growing incidence of cervical cancer caused due to Human Papilloma Virus (HPV) is a noteworthy contributor to the expansion of this segment. HPV testing is augmented to rise at a CAGR of 14.8% during the same forecast period of 2013-2019. In addition, the HLA typing testing and oncology testing are also projected to grow at a rapid rate during the same forecast period. Considering the geographical status of the molecular diagnostics market, North America and Europe capture the majority of the market share due to their investments in genomics and proteomics, and rising awareness and usage of personalized medicines. The geographical share of North America and Europe for 2012 (%) in terms of molecular diagnostics market is 42.68% and 29.79%. Nevertheless, rising patient awareness towards wellness, usage of preventive medicines, access to technological advanced medical equipment and products, and wide scale economic developments are subsequently taking places across other countries in Asia-Pacific (17.47%) and RoW (Rest of the World) (10.06%) respectively.